Getting ready for chemo round 4, it’s tomorrow….. I have to say I was not looking forward to round 3 of chemo. It seems that every round has different side effects and every round hits me harder. Round 3 was the hardest! Tomorrow is round 4. I’m ready for it, only because I’m having new scans done once I recover from it. I’m hopeful that the past two months of chemo has done something to stop this cancer that is growing inside of me!! Not knowing if it’s working or not is a scary thing! Maybe the scans will give me some well needed encouragement! I’ve had good week! Wednesday out with my Javiee was fantastic! He keeps me strong and focused on beating this! I’ve had a few emotional days. I’ve had two different people ask me what I was going to do about my little T.J. I asked them both…What do you mean? They both asked …Who was I going to have raise him? Really? I can not afford to think like that! My little man needs me and I have to be here for him!! Negativity is not welcome here! I have faith that my positive attitude will give me many more years with him! 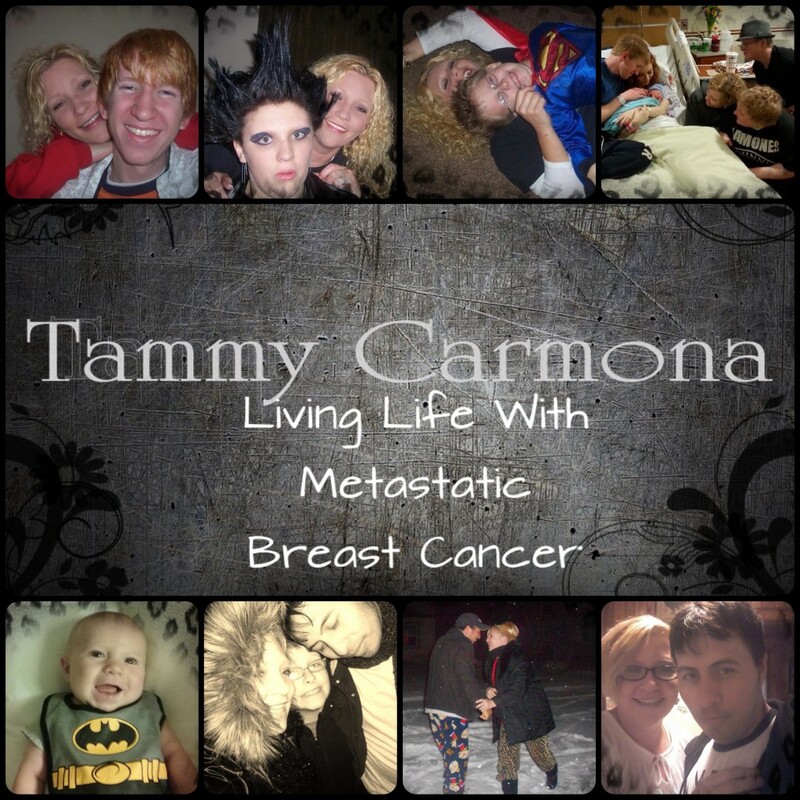 I know the statistics, but I am not a statistic….I’m Tammy and I’m a fighter! Now for the bright side of chemo round 4…. My cousins Laura and Betty are coming up from Texas. So I have new chemo buddies! Yay! 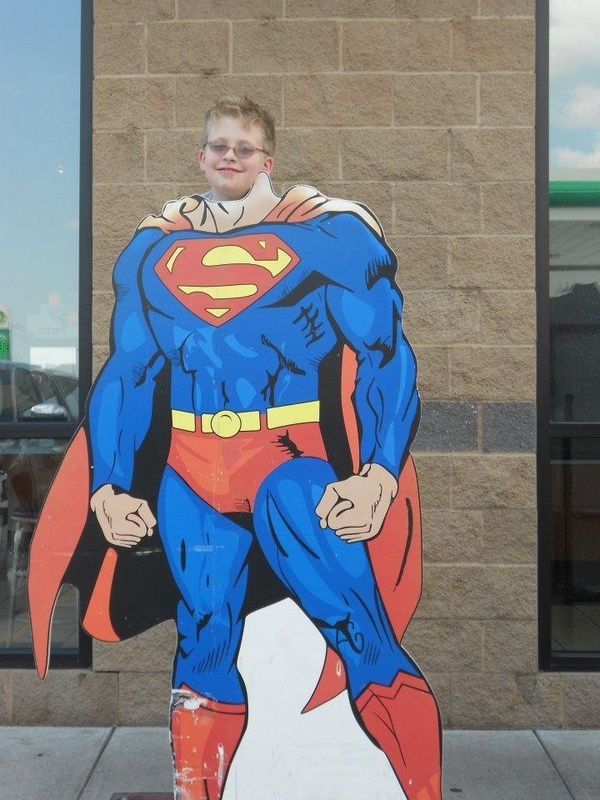 Thats my little superman, T.J. in the picture above. 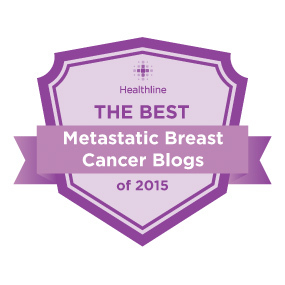 This entry was posted in Uncategorized and tagged breast cancer, Cancer, Chemo round 4. Bookmark the permalink. ← This is how my day starts…. Hi Tammy, I found you because I saw that you liked one of my posts. I’m so glad that you did, because it brought me here. I’m also sorry for the insensitivity of people who’d have the nerve to ask you who will raise your son! Sheesh! People can say the cruelest things! Hey! I loved your blog. I was going to take more time and read it later tonight. Hope your doing well and feeling good! YOU WILL RAISE TJ, just like you’re supposed to !!! A fighter you are, and you have a STONG SUPPORT group PRAYING for YOU !!! God will see you thru this !!! I am so blessed to have so many prayers coming my way! I have faith and I believe every word of what you have said! Thank you so much! I saw that you read my blog entry about my best friend with stage III cancer. You are so strong, and I will pray for you right along with Melissa every day until you win this battle, too. She’s finished her chemo (six total), and I think the third one was the worst. She breezed (maybe not exactly breezed, but much better) through five and six, and her mastectomy is in less than two weeks. I wish you the absolute best, and I’ll be following your blog the whole way. Thank you so much Emlee! 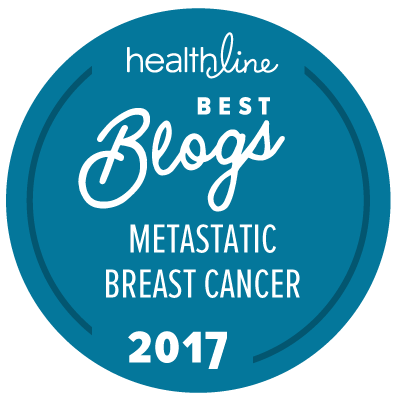 Breast cancer is life changing! Your friend is so lucky to have your support! A good support system is one of the things that helps me to stay strong! It matters more than you could ever imagine! My prayers are with your friend! Thought and prayed for you all weekend. Love the pictures of TJ. He talked about the Mohawk before our break, I’m glad I saw the picture with all of you. You have a wonderful supportive family, you are truly blessed. Thank you Tricia! I had T.J. a shirt made with the Mohawk picture, but he won’t wear it..lol. Thanks for the prayers! I believe that’s what will get us thru this!